Wombats, kangaroos, whales, seals and penguins – the South Coast is packed with animal adventures families will love. Between May and November, the sea off the coast of Kiama becomes a whale highway. The best locations to spot the whales are Minnamurra, Bombo and Marsden headlands, as well as Blow Hole Point and the Black Head Reserve in Gerroa. Our favourite activity to do with kids has to be the Stingray Show. Every Sunday morning at 10am Darren O’Connell from Into the Wild Nature Tours gives a free talk at the Kiama boat ramp. 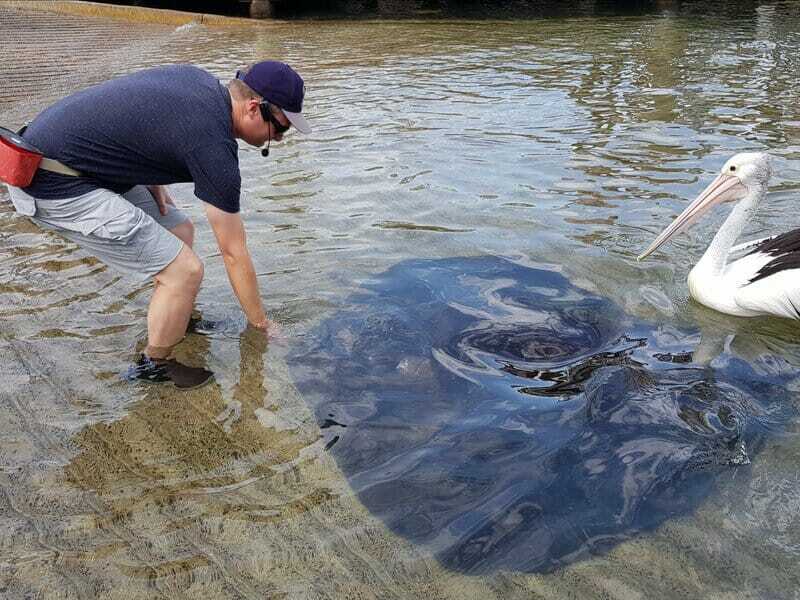 Fishermen gut their catch at the boat ramp – attracting huge numbers of stingrays who feed on the scraps. Stingrays eat up to 40kg of food each day. Some of the stingrays that turn up during the 20-minute show can be as large as dinner tables. Darren’s Stingray show has been attracting large crowds – even in the rain. Expect to learn about the animal’s habitat, food preferences and threats. Into the Wild Tours also runs small guided natures tours of Kiama. Darren meets families at their accommodation or the train station and takes them on a journey to find kangaroos, wombats, whales and birds. The Kangaroo Valley is oddly not our top spot to see kangaroos. It’s actually packed with wombats. Hundreds of bare nosed wombats have built burrows through the area. 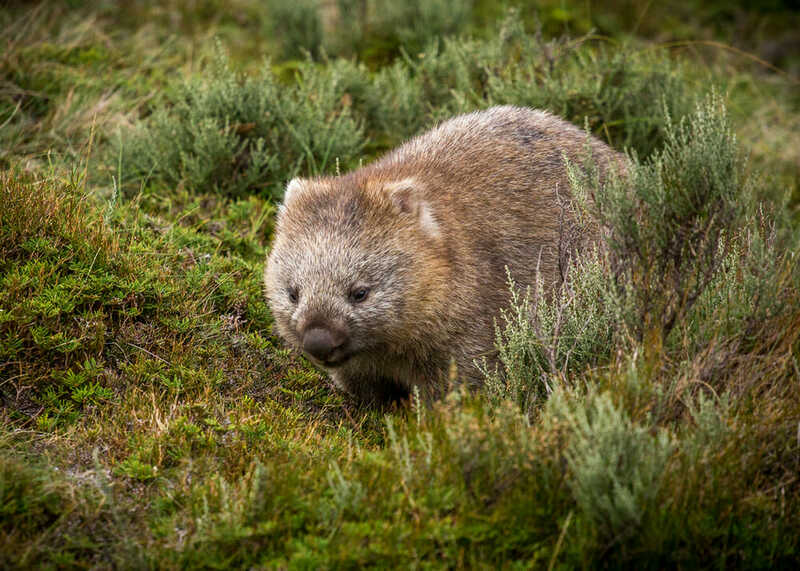 Wombats may use up to 12 burrows within their territory. They don’t have great eyesight, but they make up for it with a strong sense of smell and hearing. They can feel ground vibrations of visitors. Wombats appear to be slow, but they can actually run fast and jump when needed. Wombats also love shoelaces. The best place to see the wombats is at the Bendeela campsite. This rustic campground and picnic area borders the Kangaroo River arm of Lake Yarrunga. It has basic campsites, toilets and drinking water. This is a great spot for a few days of camping, particularly with multiple families. Campers must adhere to the visitor code of conduct to ensure the safety of the wombats. 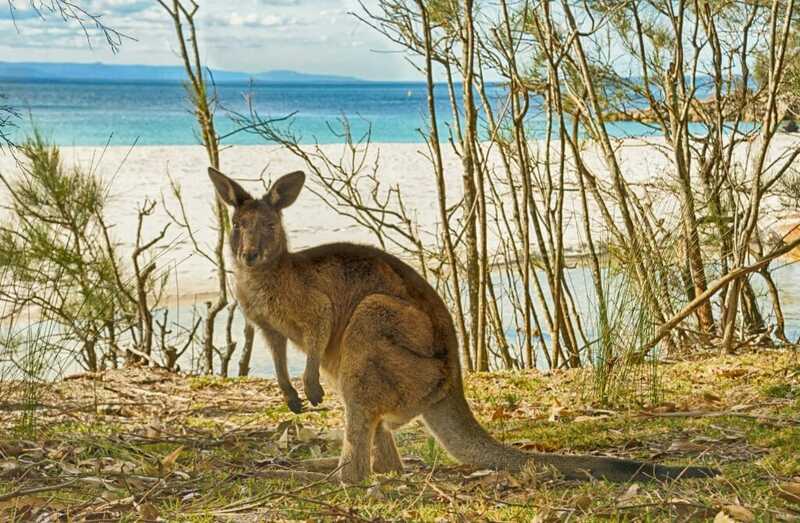 Pebby Beach in the Murramarang National Park is our top pick to spot kangaroos on the South Coast. 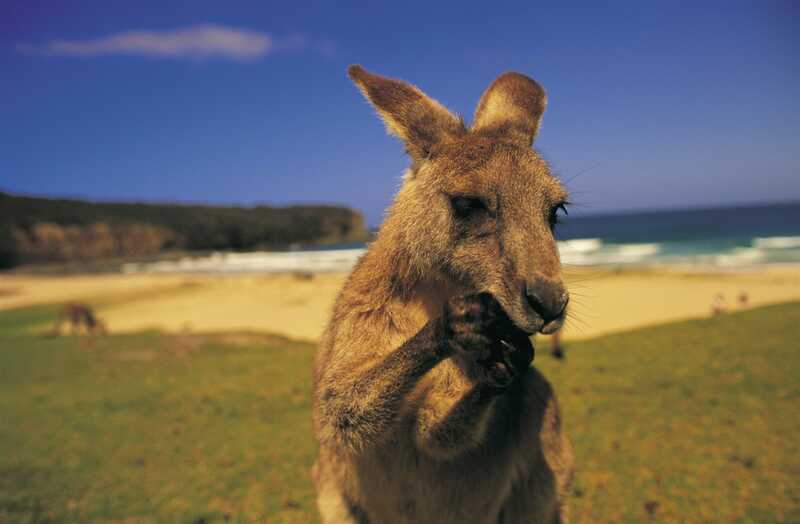 The Kangaroos here have been known to hop down to the beach and cool off in the surf. Families can camp at Pebbly Beach or simply take a day trip. How to get there: The turnoff is about 10km south of Termeil. From there expect to travel over 8km of gravel road. Montague Island is one of Australia’s under-rated gems. If you want an eco-holiday we think this should be top of your list. The highlight has to be the penguin parade. Montague is the third largest little penguin breeding site in Australia. Between September and December up to 8000 breeding pairs are scattered around the island. The penguins feed in the nutrient-rich East Australian Current which runs close to Montague and attracts plenty of small baitfish and squid. Each night they return to the island to rest and nest. Families can watch them waddle in from the surf from a specially lit platform. Montague Island is also home to Australia’s largest colony of Australian and New Zealand fur seals. Hundreds of seals sprawl on the island’s rocks, basking in the sun. 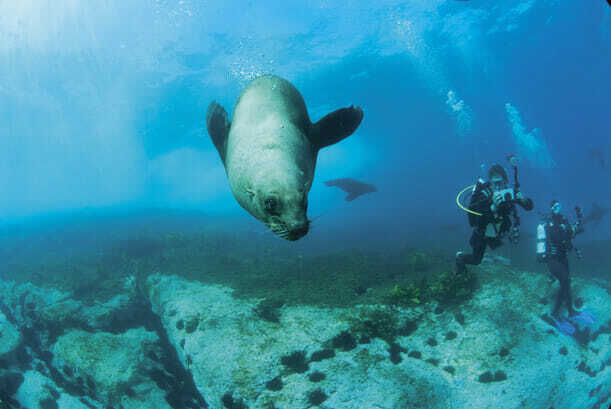 Book a diving tour (depending on the children’s age) and you can swim with the seals. An abundance of krill in the water surrounding the island attracts huge numbers of migrating whales. Whale season runs from September to November. During the Southern Migration, whales move more slowly. They are often travelling with their calves and travel closer to the coastline. Most people visit the island on a day trip or a whale watching tour. However, you can stay overnight in the assistand lighthouse keeper’s cottage. The cottage sleeps eight. Just imagine waking up and watching seals over breakfast. How to get there: Book through the Narooma Visitors Centre. 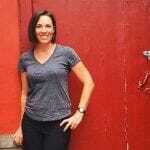 You can book overnight or day trips. Kids love dolphins. And the best place to see them in the wild is at Jervis Bay. Jervis Bay Marine Park is home to 120 resident bottlenose dolphins. 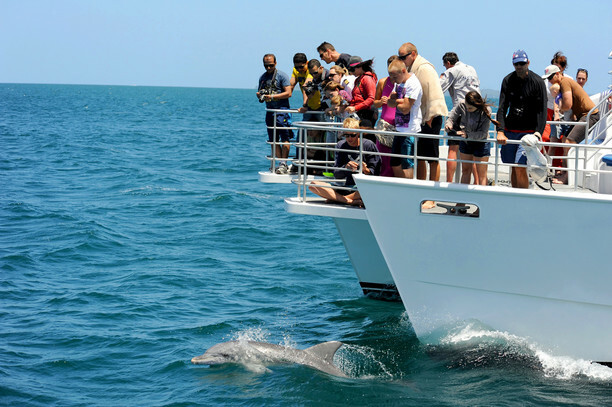 Head out on a dolphin cruise and you have a 99 per cent chance of spotting one. The dolphins live here year round. From May to November they are joined by whales, seals penguins and albatross. Most cruises take about two hours. 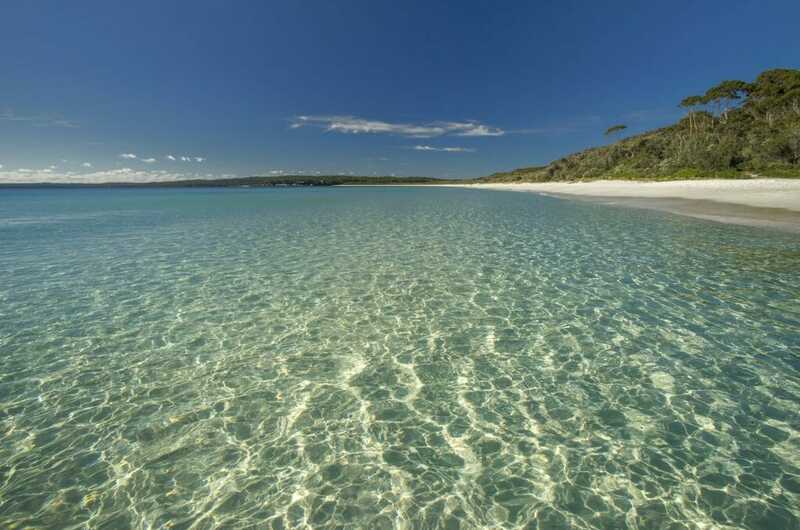 The waters of Jervis Bay are calm and the cruises are family friendly. Expect to see dolphins playing around the bow of the boat. Take a snorkel if you are planning a trip here – underneath the water in Jervis Bay you can find weedy sea dragons, eastern blue devil fish, little penguins and fur seals. 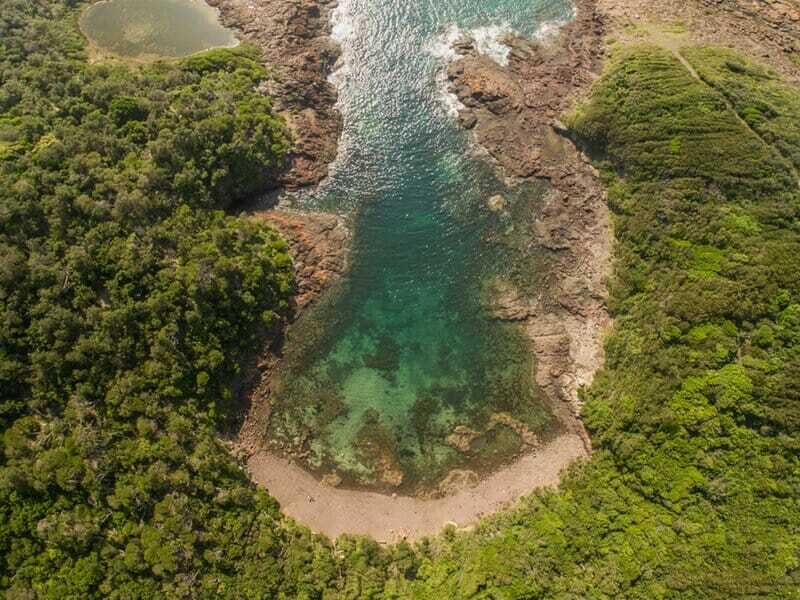 Bushranger Bay in Shellharbour is another fantastic place to snorkel. The small sheltered bay at the eastern end of bass Point is an aquatic reserve. Underneath the cool water, you will find tropical fish, seagrass beds, blue gropers, leatherjackets and Maori wrasse. This spot is a great place for kids who are learning how to dive. It’s small, sheltered and easy to reach shallow water. Smaller children will love exploring the rock pools along the coast. Getting there: Enter the reserve on foot via a set of stairs from Bass Point Reserve, along Bass Point Tourist Rd. Head to Eden on the Sapphire Coast if you want to see whales. Large numbers of Humpback and Southern Right whales choose this area to stop for one last feed before they head to the cooler waters of the Antarctic. The whales eat krill and pilchards which flourish in the East Australia Current. Whale season starts in late winter. Most tours will offer guaranteed sightings between September and early November. 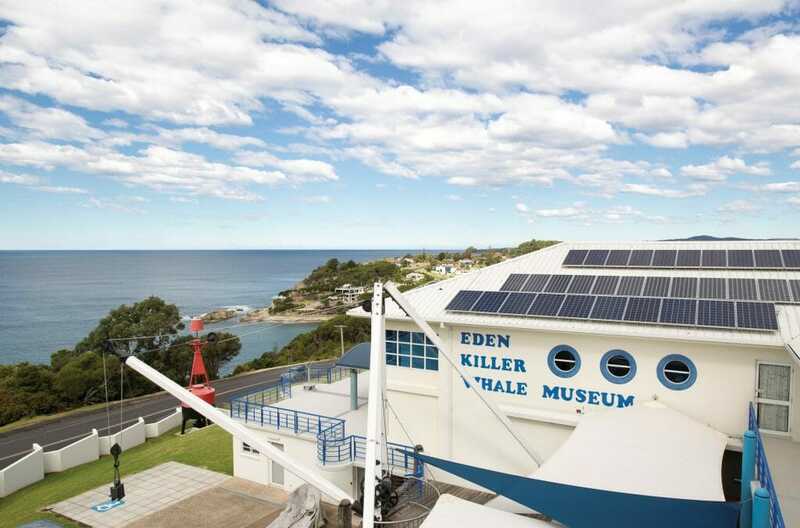 Eden is home to the Hiller Whale museum. Make sure you duck in here when you are in Eden just to see the killer whale skeleton named “Old Tom”. Eden even has an annual whale festival, held on Friday 2 November to Sunday 4 November. The festival has a colourful street parade, markets, live entertainment and delicious local food and wine. Mogo Zoo is a small privately-owned zoo which has had incredible success in breeding endangered species including snow leopards, black and white ruffed lemurs and red pandas. Families can get up close and personal with the animals at Mogo. You can feed a lion or a tiger. You can play with the meerkats, pat a red panda and even spend the day as a keeper. Keeper talks and feeding sessions are on daily. Kids will also love the daily giraffe feeding sessions – this is $10 well spent. The zoo is about 10 minutes from Batemans Bay. Adult entry costs $32, children $17. Discounts are available for seniors and people living with a disability.